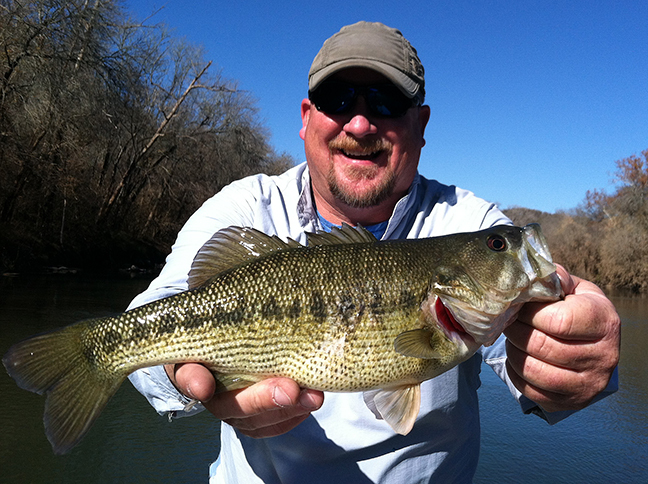 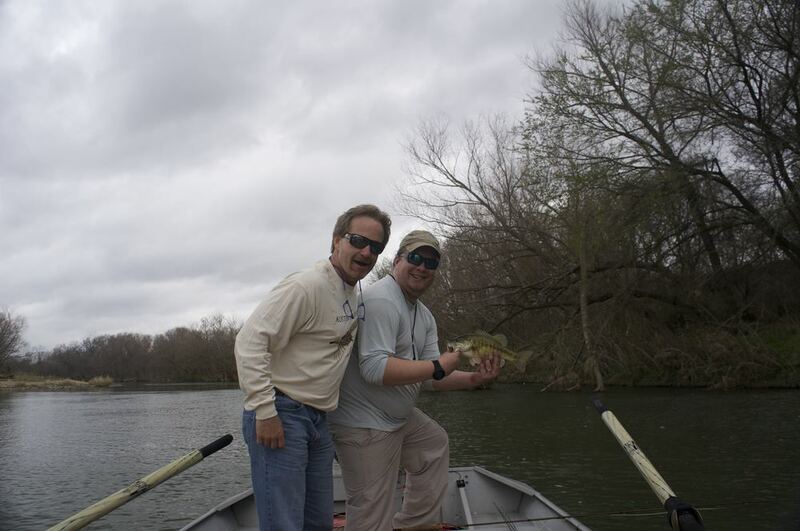 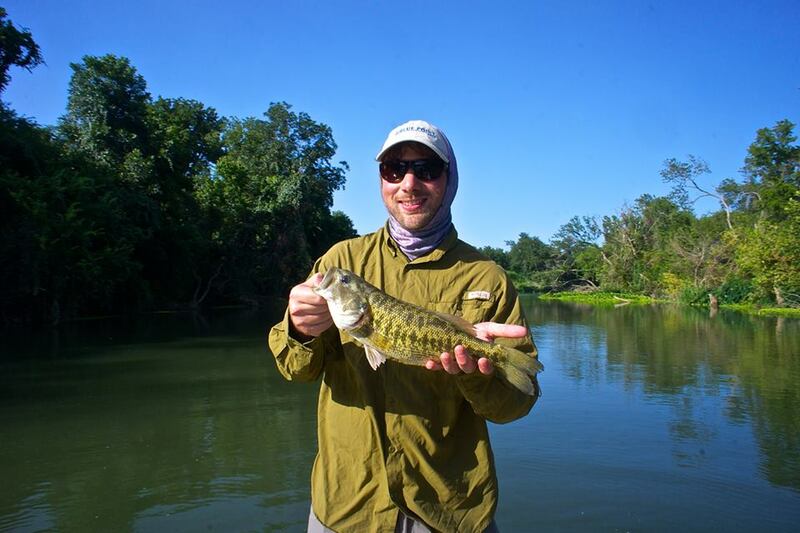 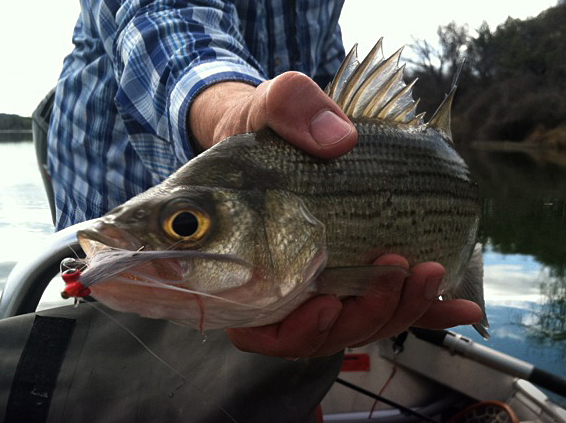 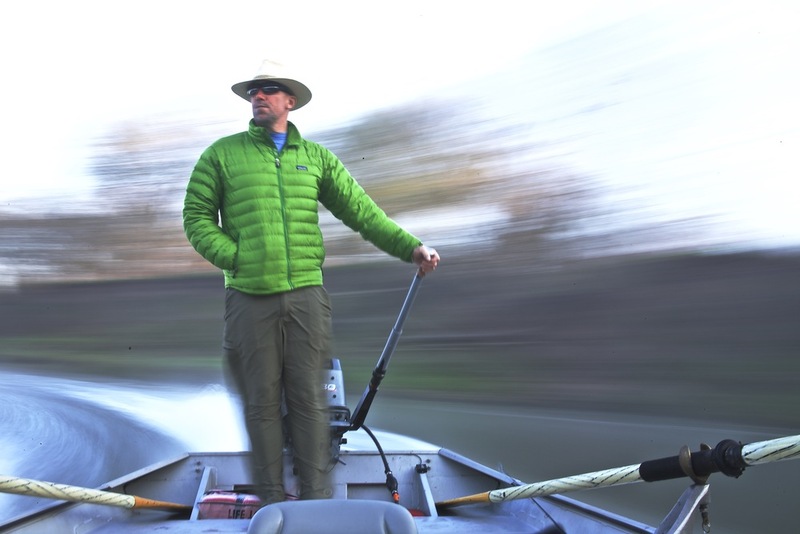 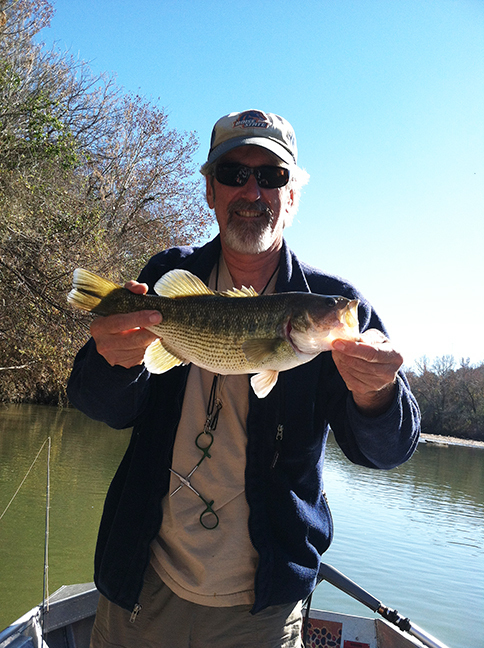 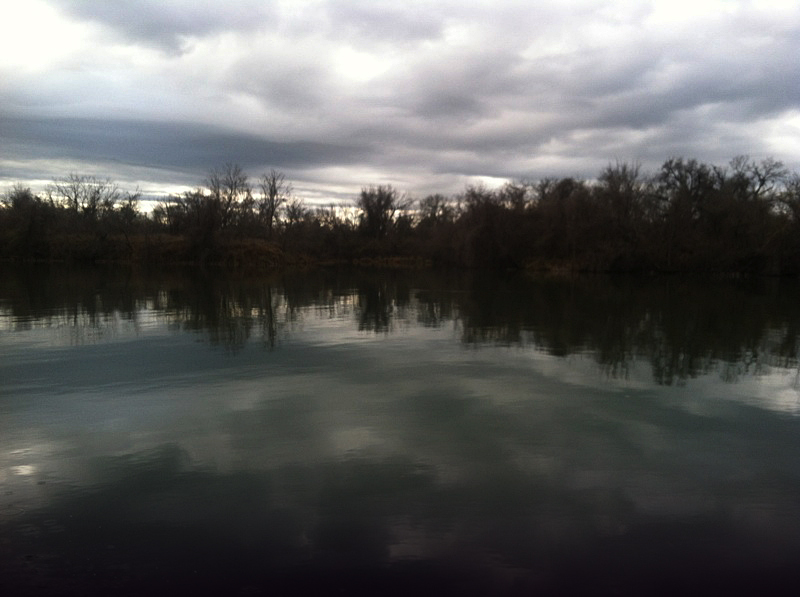 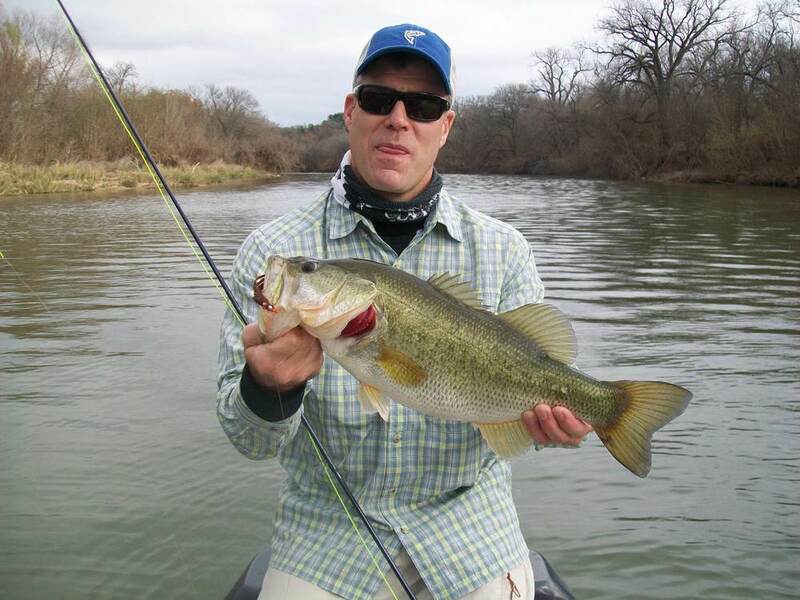 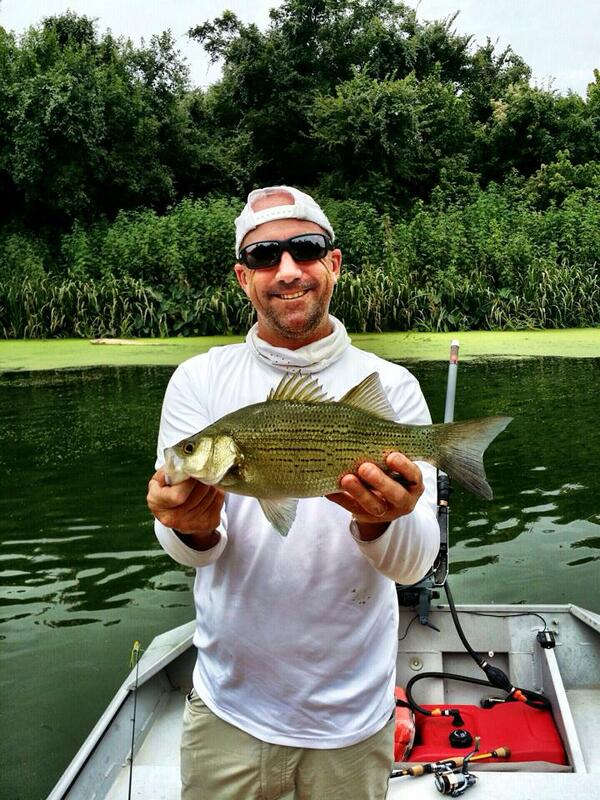 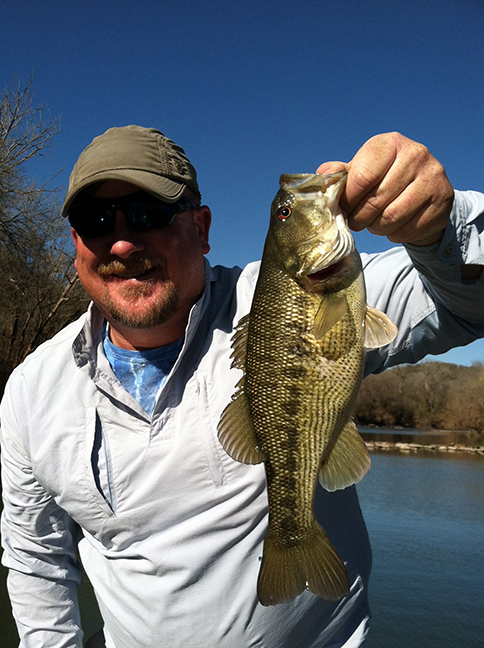 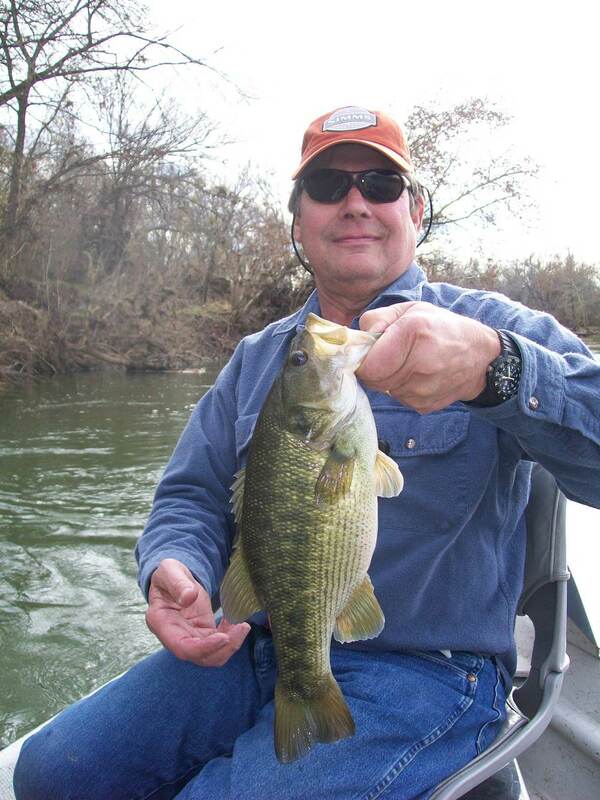 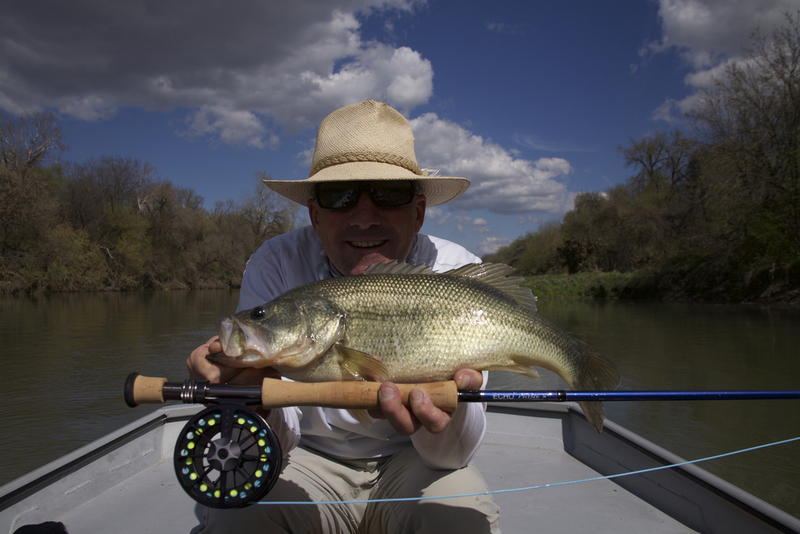 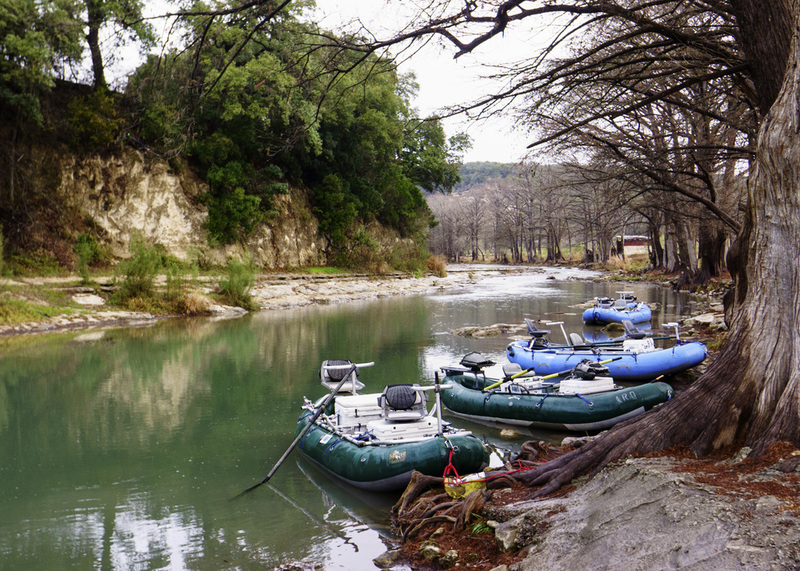 Lately we have been splitting our trips between the Colorado and Guadalupe Rivers. 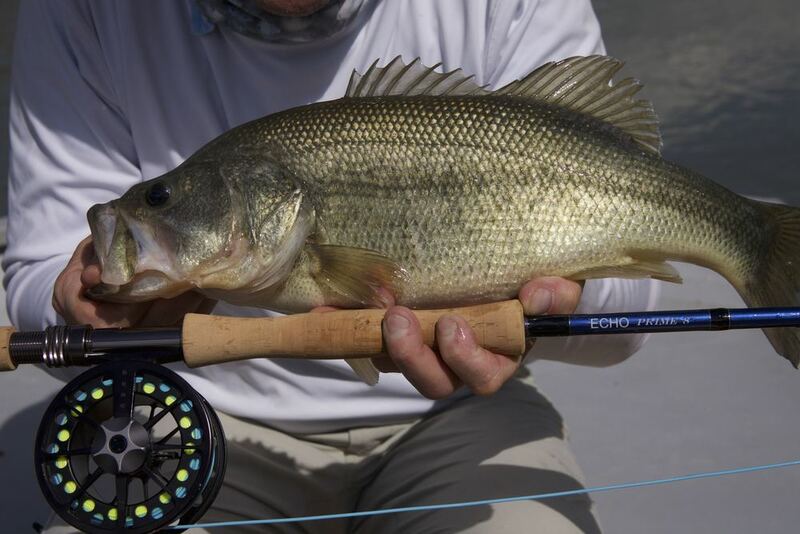 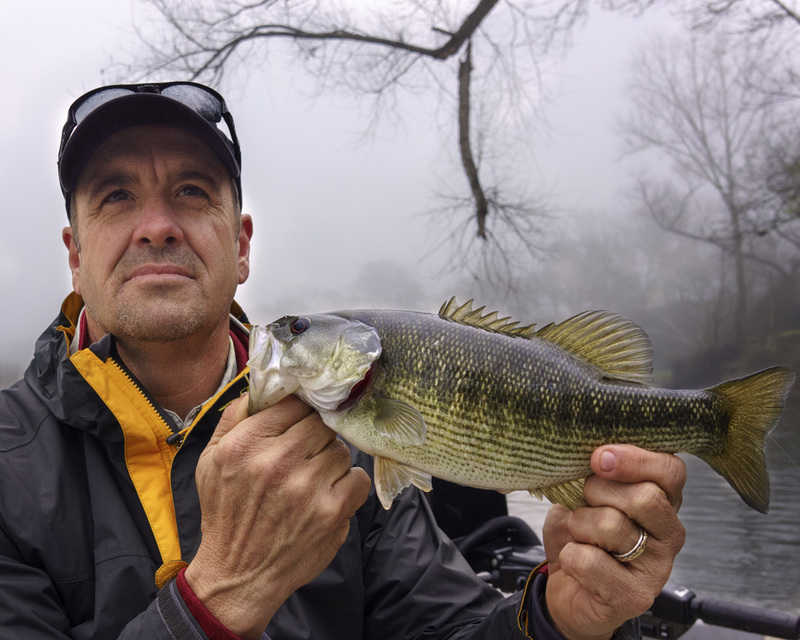 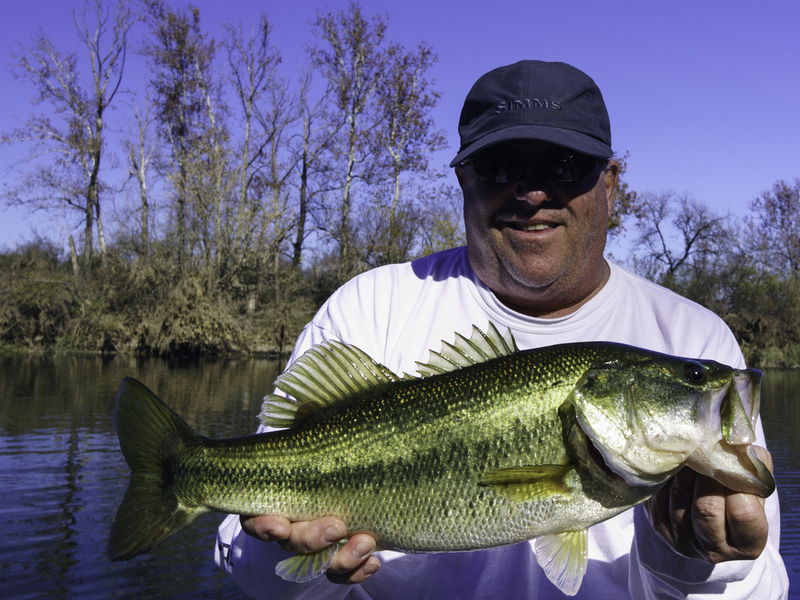 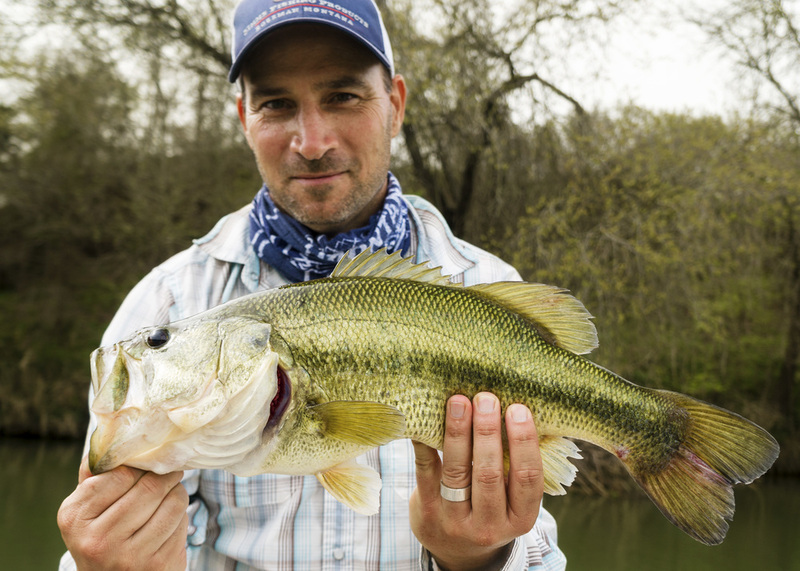 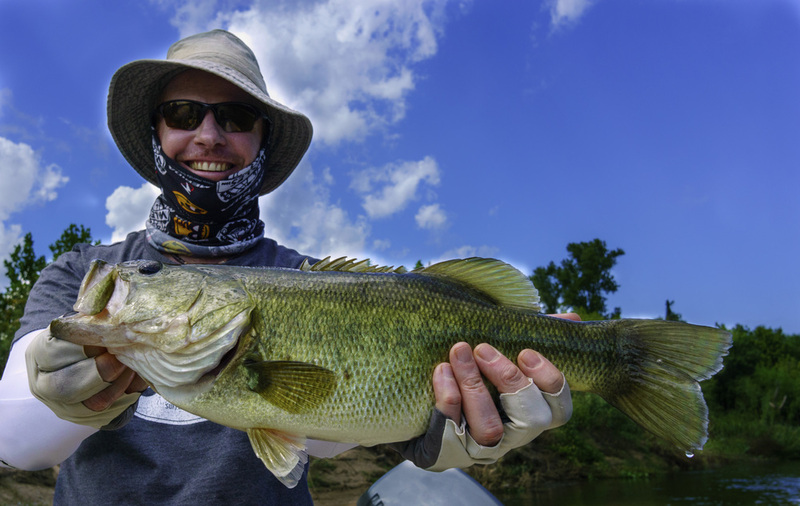 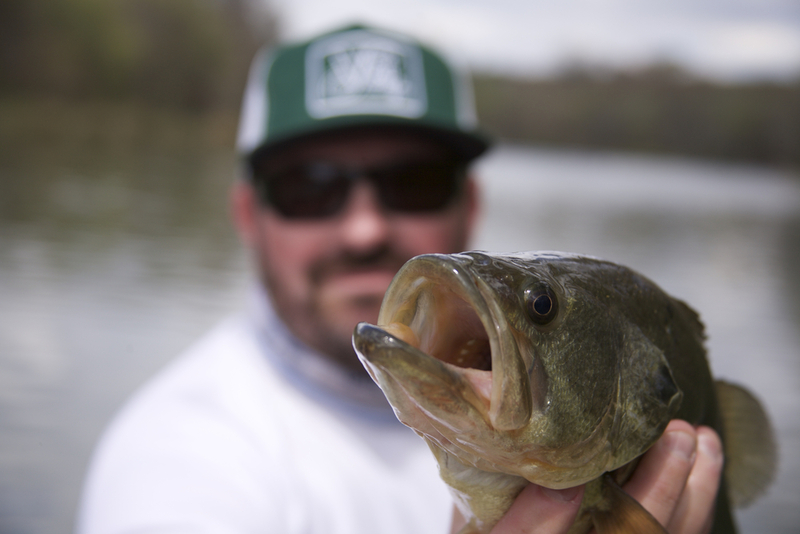 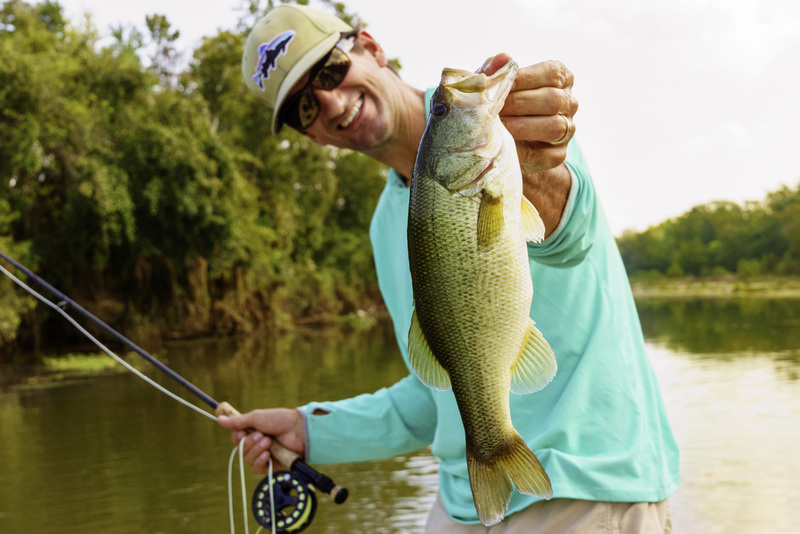 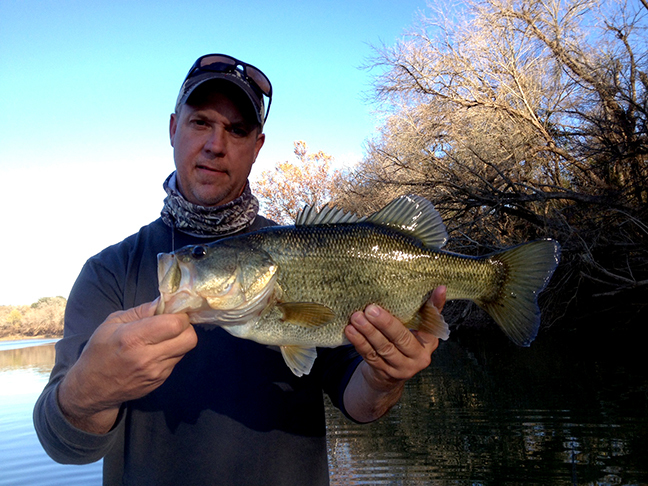 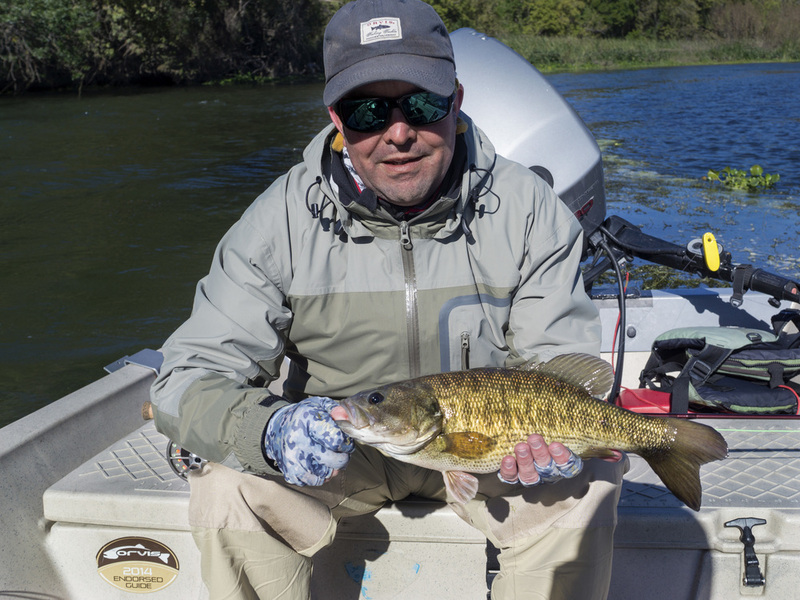 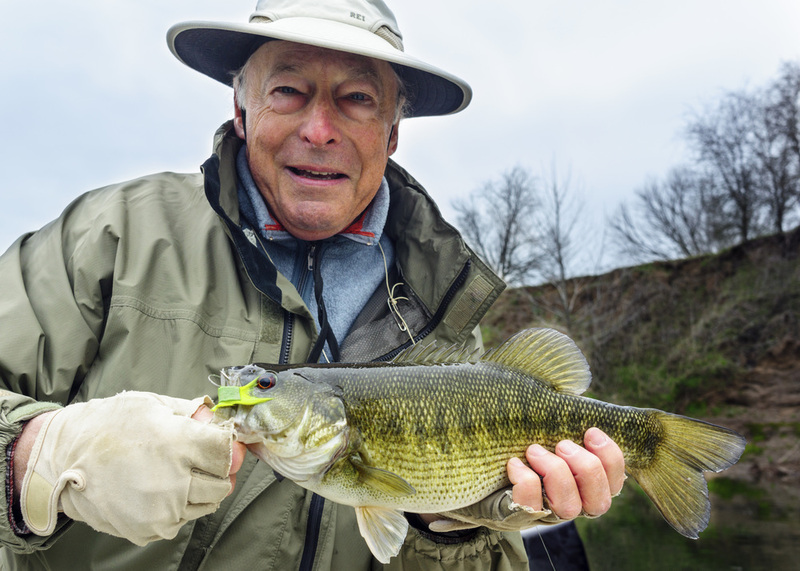 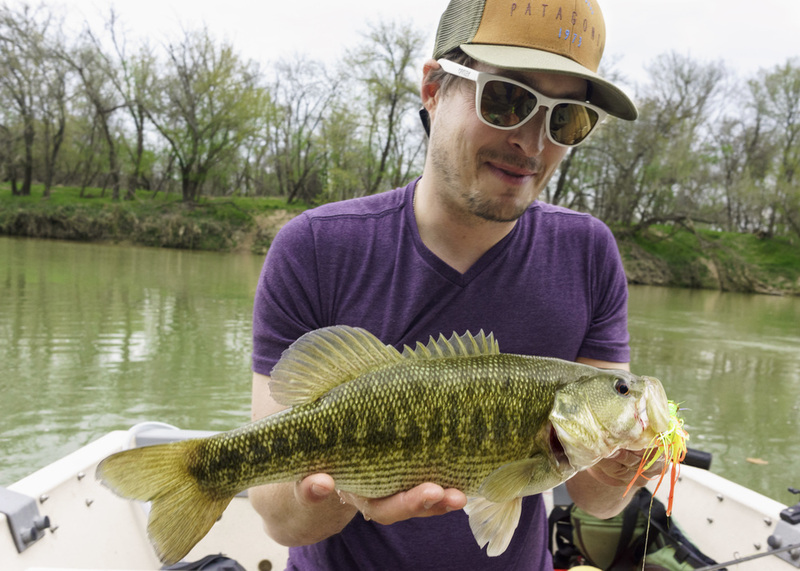 Warmer weather and clearing water conditions have produced incredible bass fishing on the Colorado River, however, the leaves are starting to fall and the coldest weather of the year is headed our way. 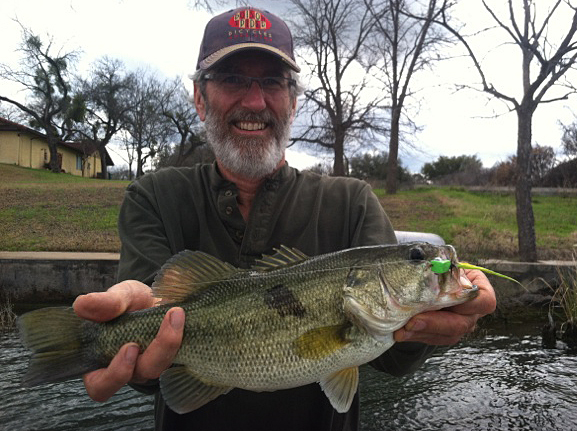 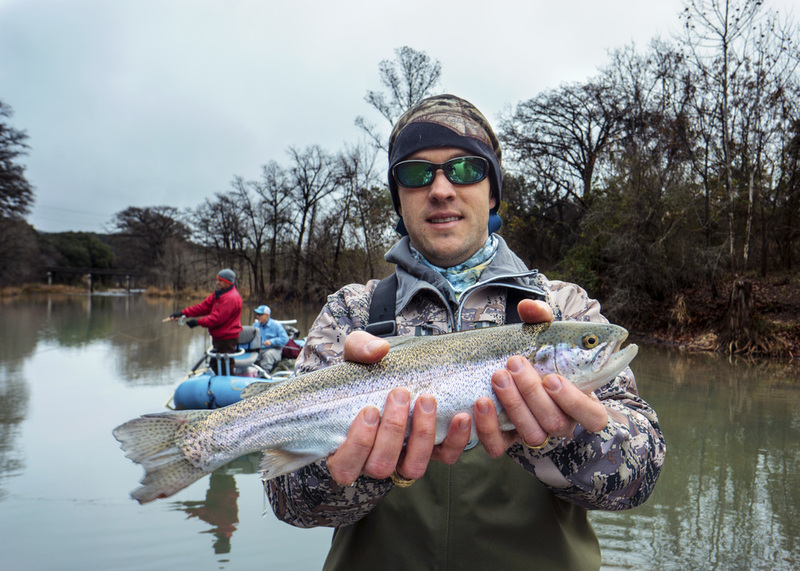 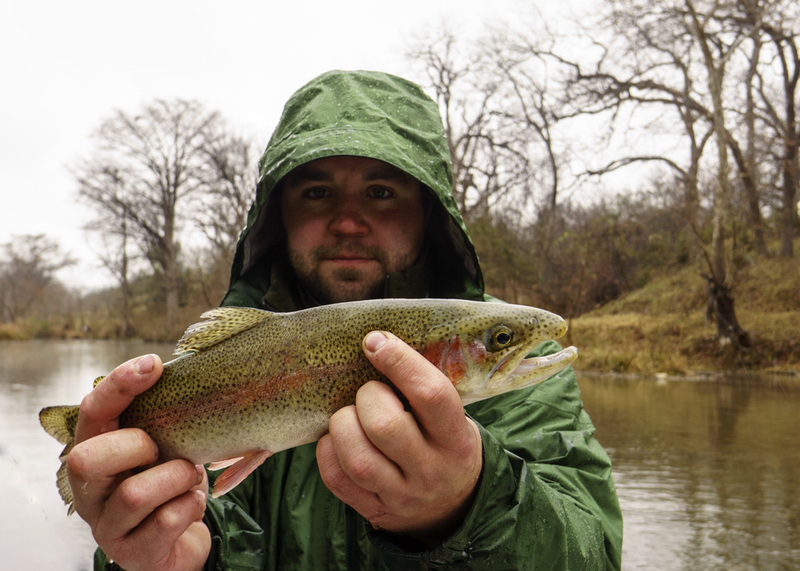 We all know trout love cold water and lousy weather, which is the forecast for the next several days on the Guadalupe River. 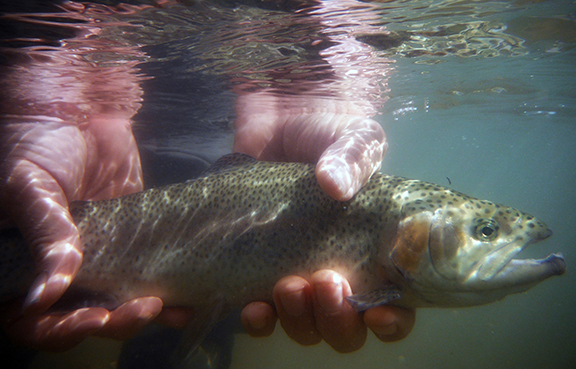 This week the fish started acting more like trout — eating and moving on well-presented flies — and less like lost tourist visiting the river for the first time. 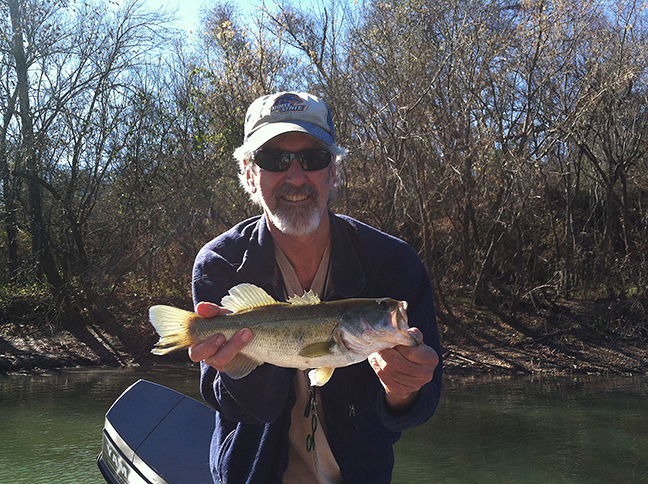 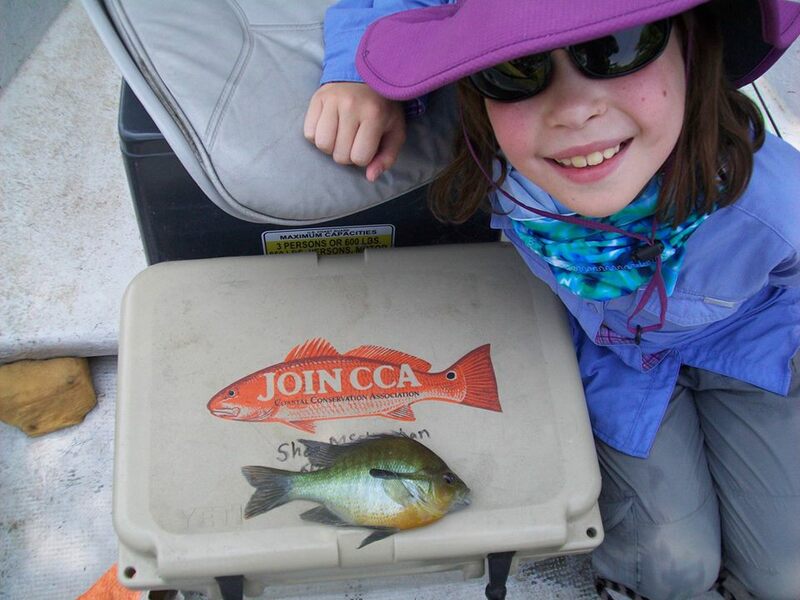 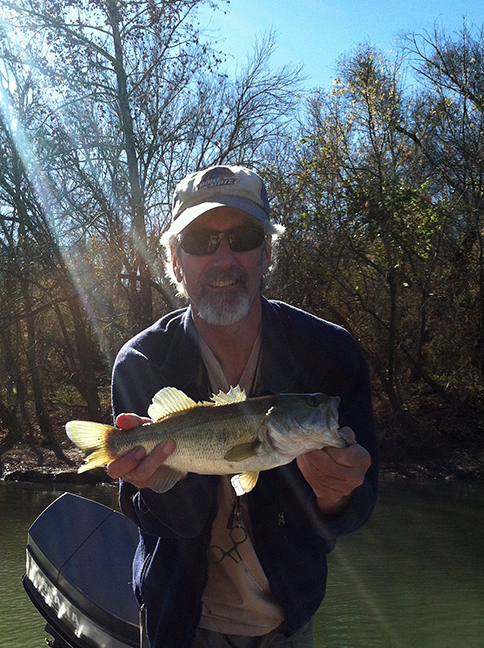 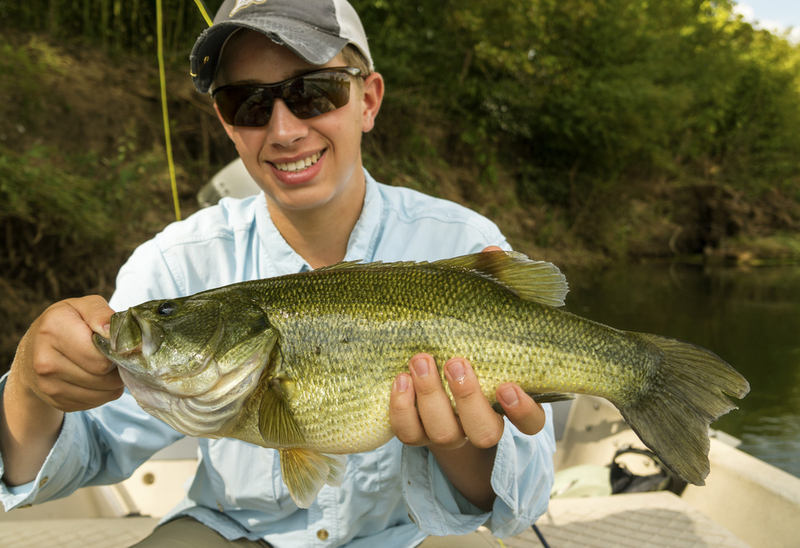 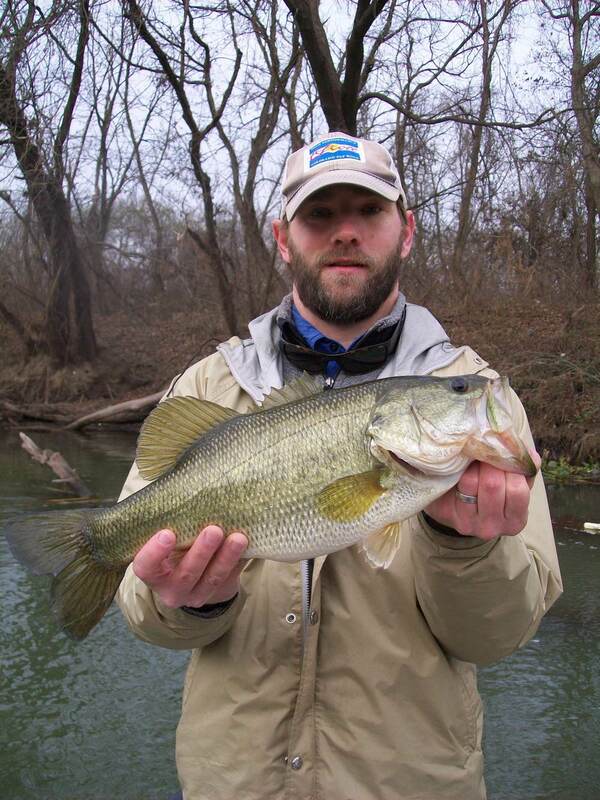 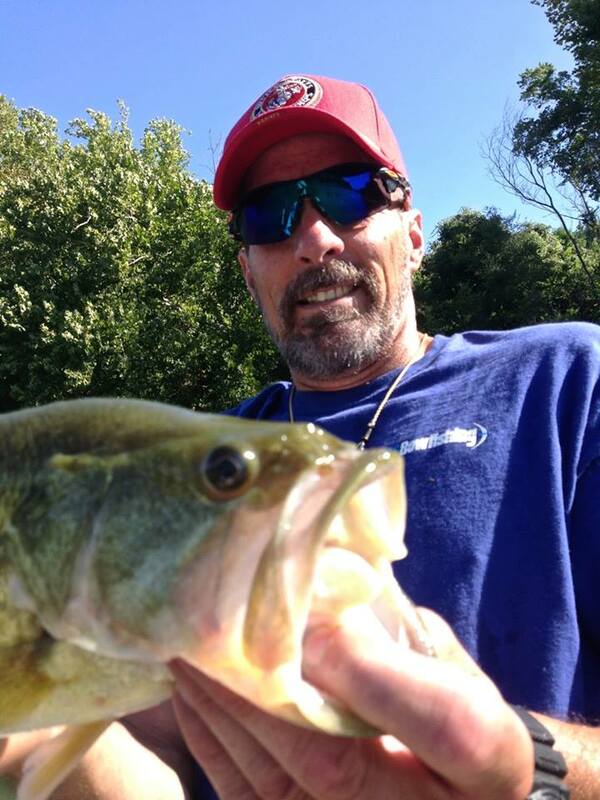 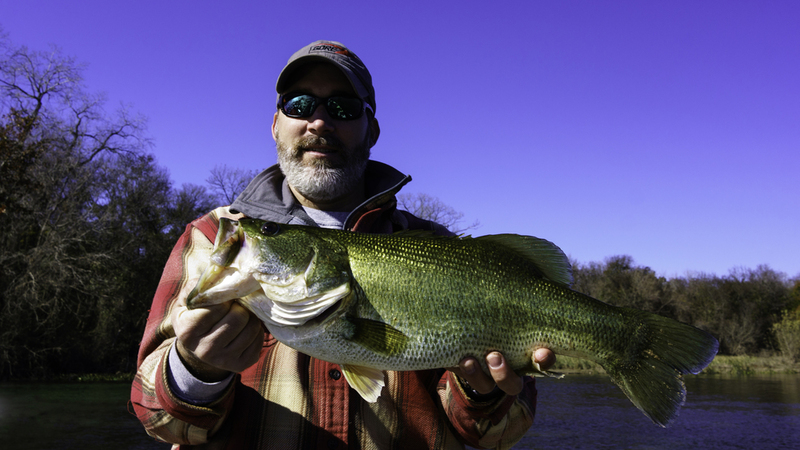 We caught good numbers of fish between 14 and 17 inches. 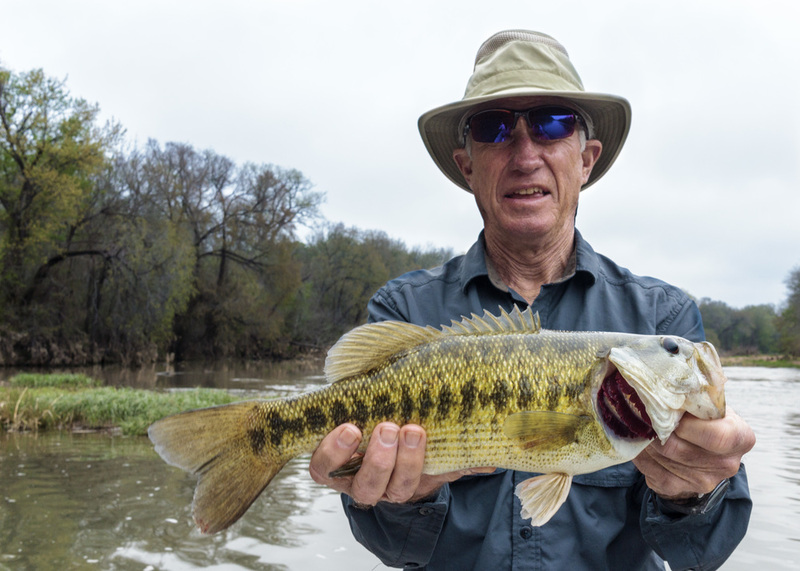 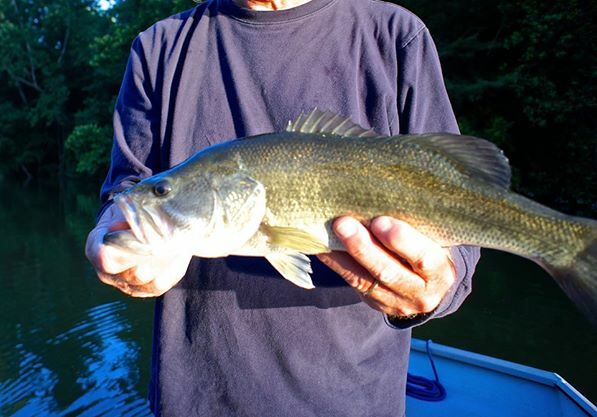 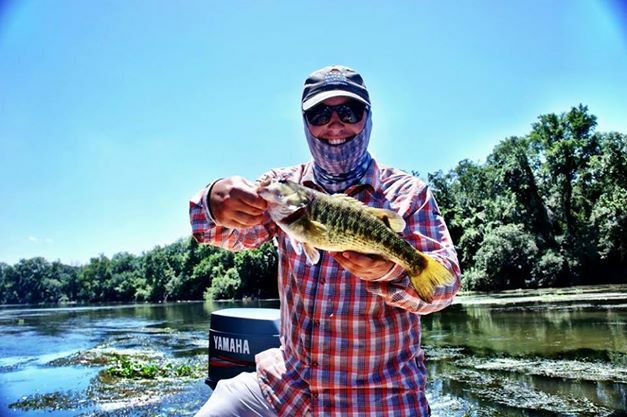 Two notable catches were the huge hook jawed males that came out of the same riffle giving angler Jeff Robuck great fights and even better memories caught on camera. 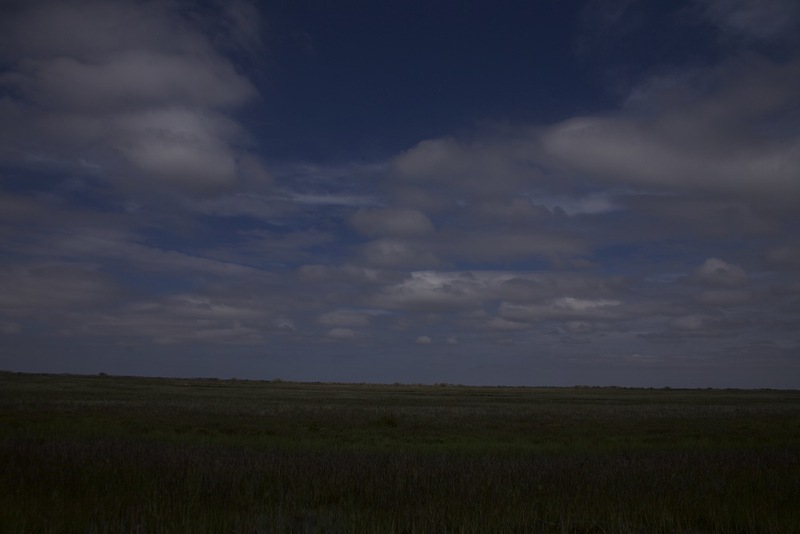 As for what is working for us — it’s the usual suspects. 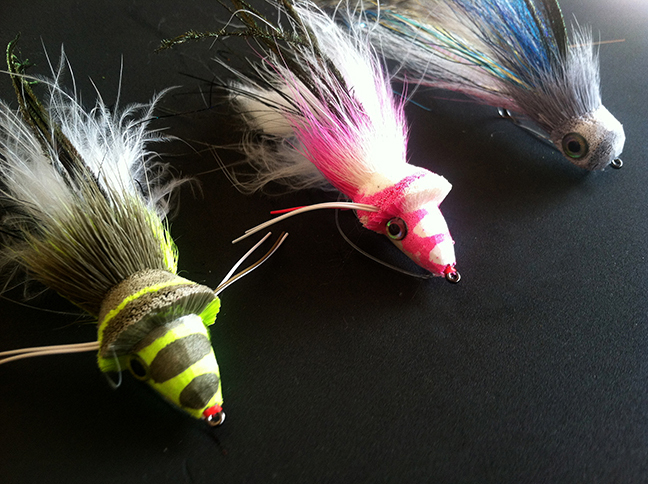 Tandem nymph rigs using a 4X 7-1/2’ leader with a larger attractor and a small (size 20) midge tied on a 16” 5X tippet dropper under a small Thingamabobber. 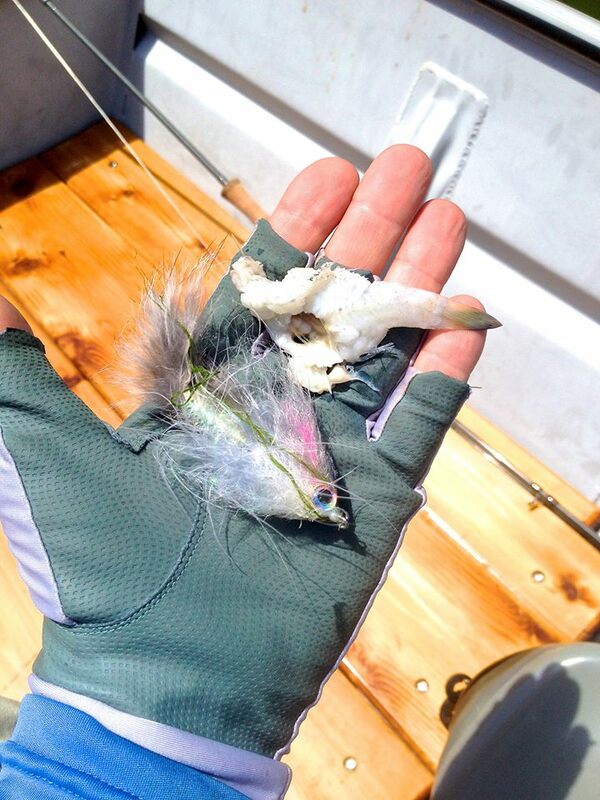 Top attractor patterns included eggs, stones, and pheasant tails size 12-16. 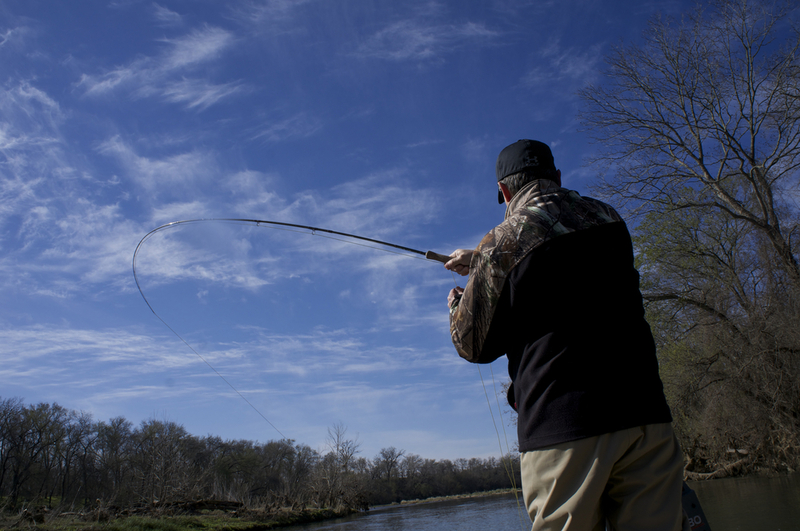 Midge patterns included CT trico emergers, RS2s, and zebra midges in sizes 18-20. 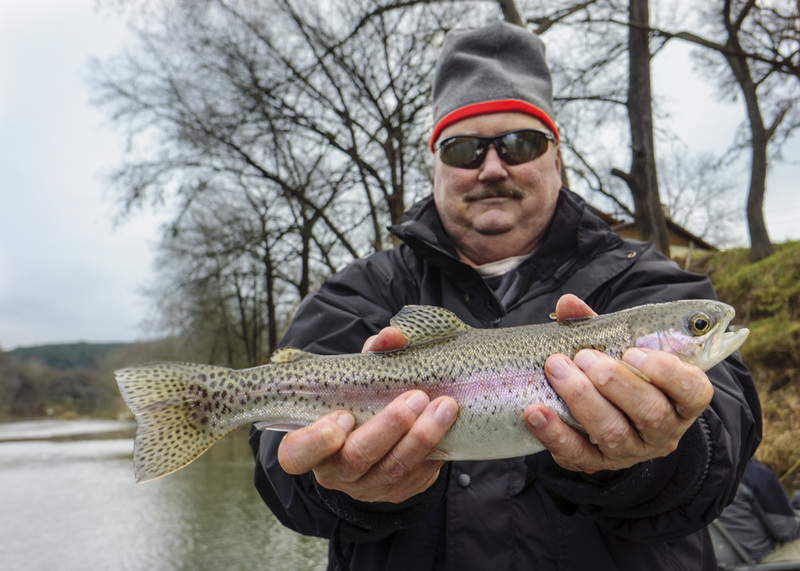 Additional stocking will continue throughout the winter and the fishing will continue to improve along with our colder winter weather. 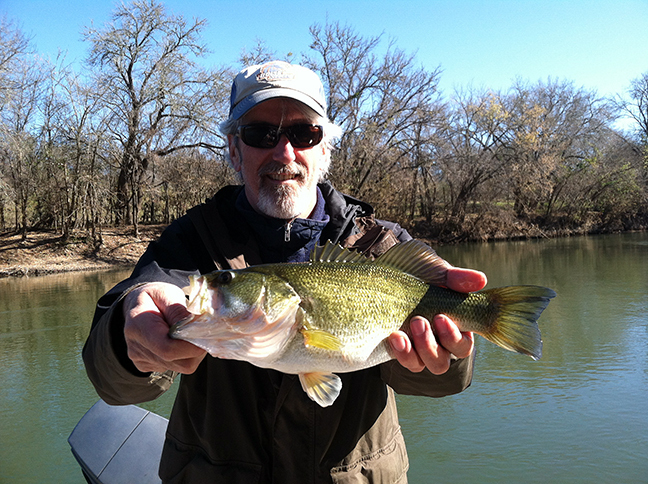 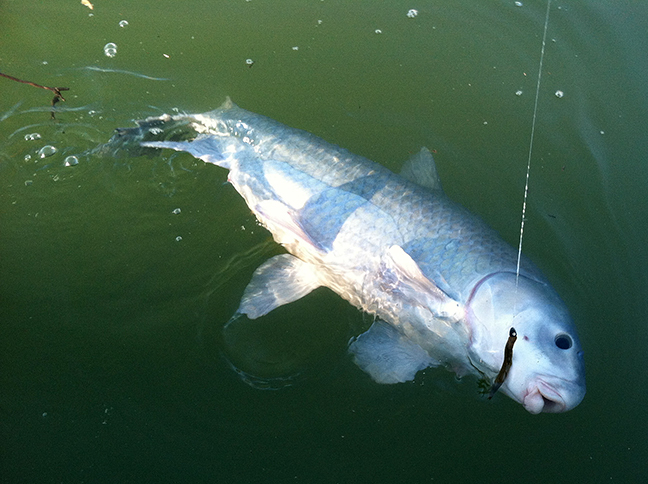 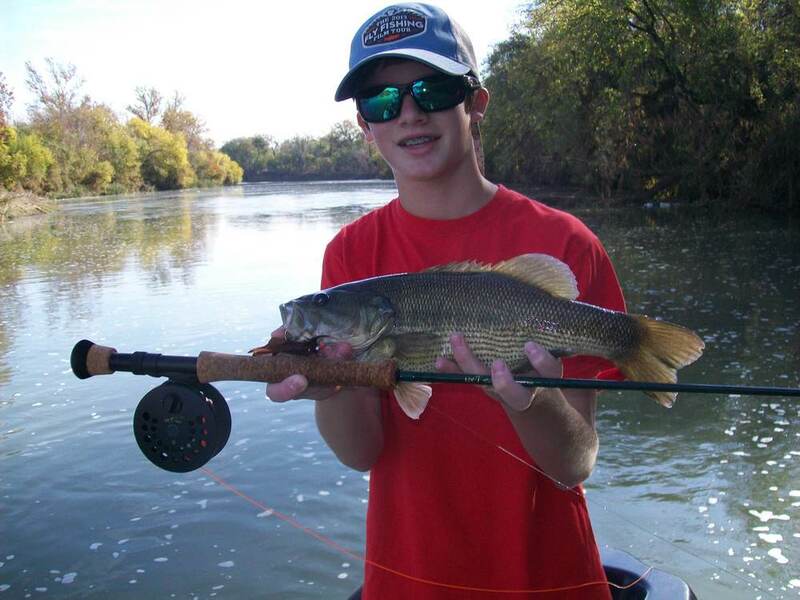 Flows are low but consistent and with the recent rains the river is in excellent shape. 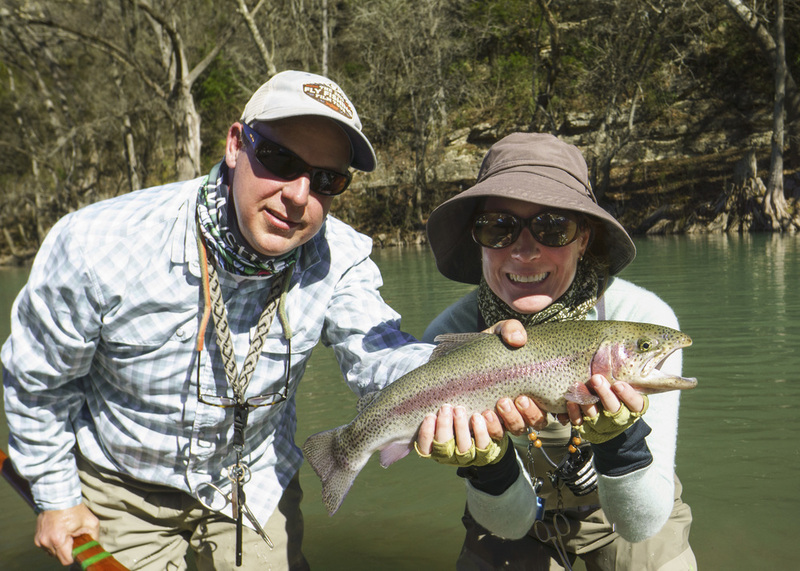 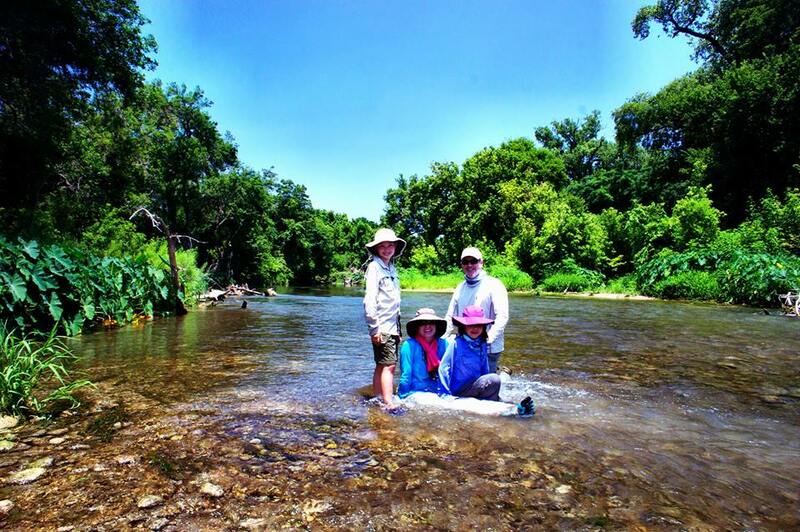 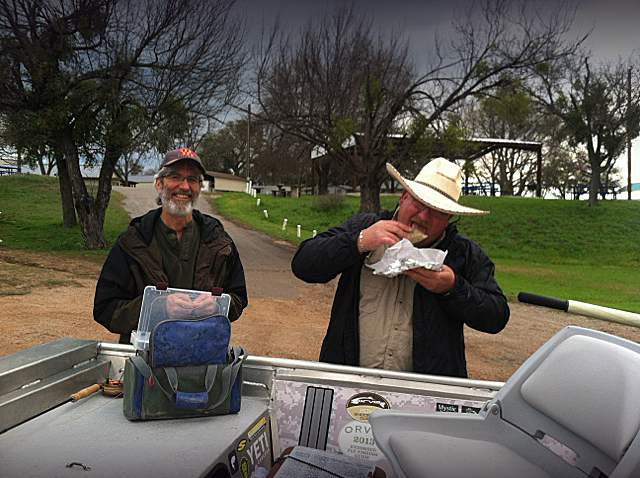 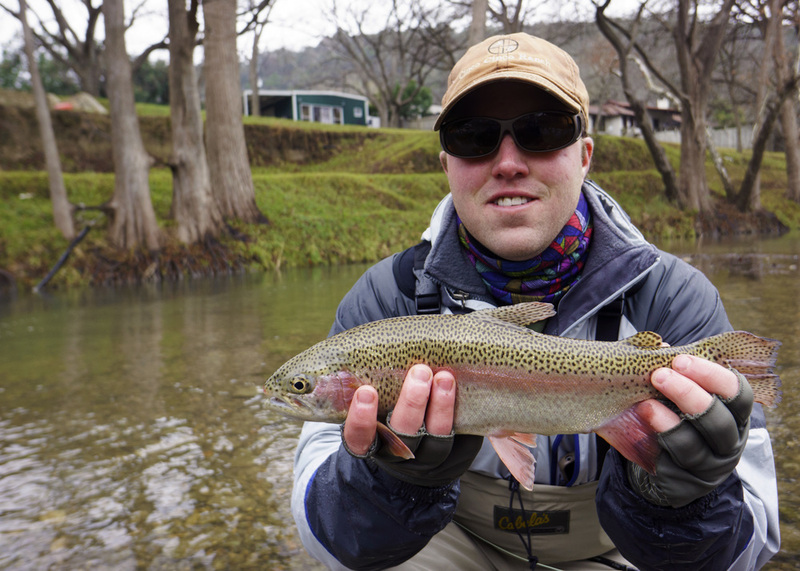 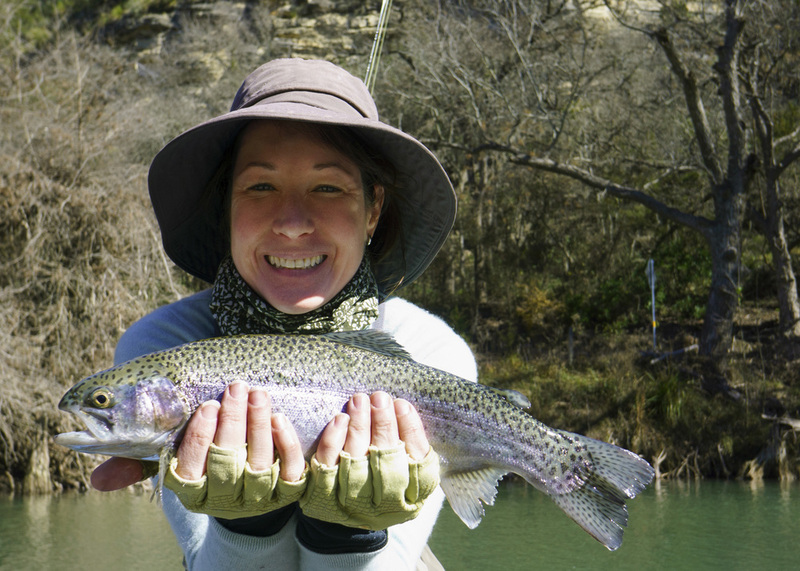 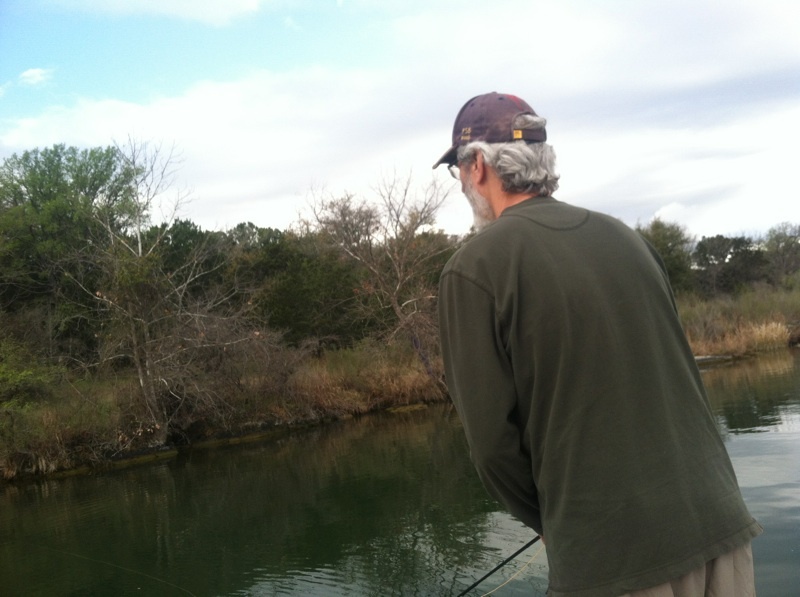 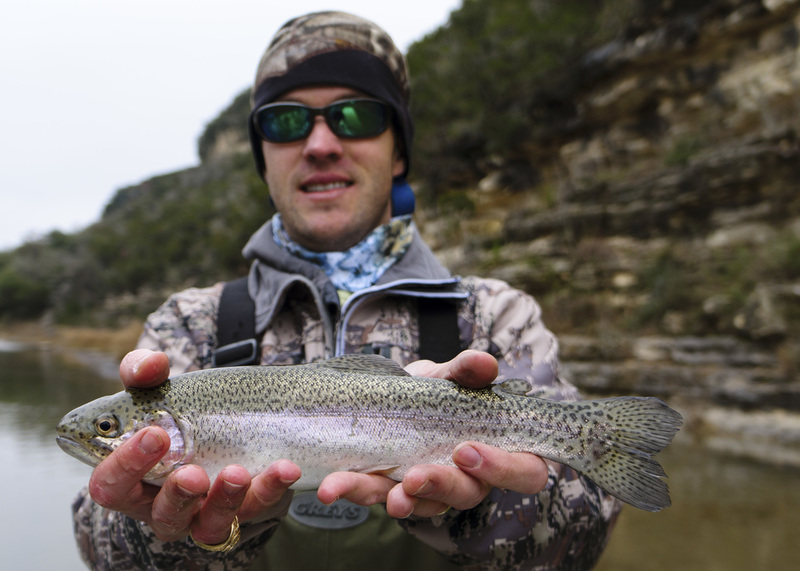 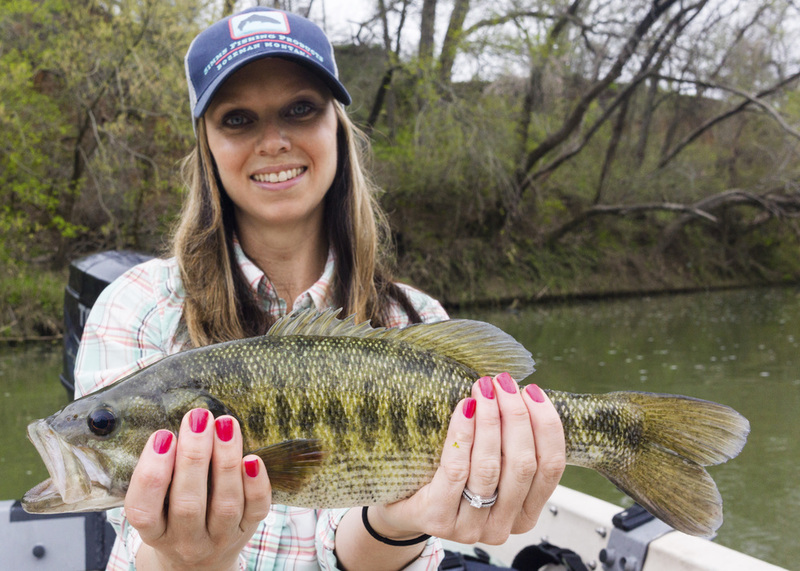 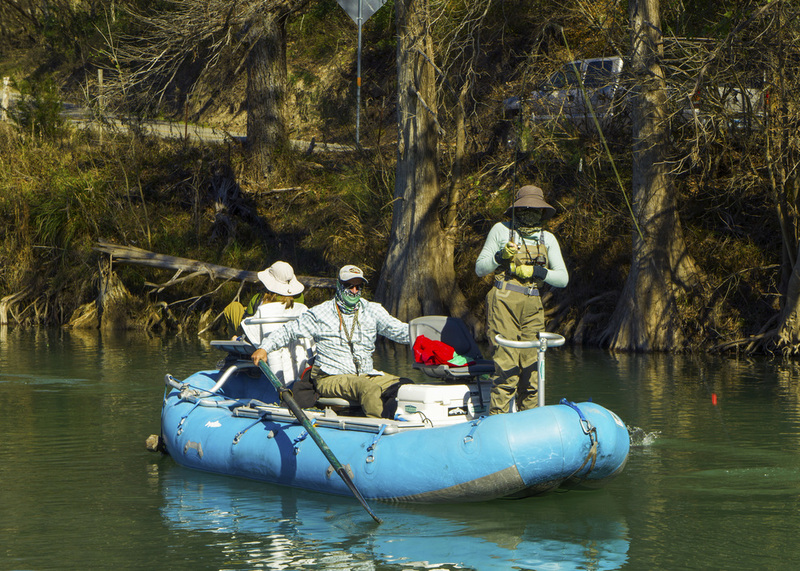 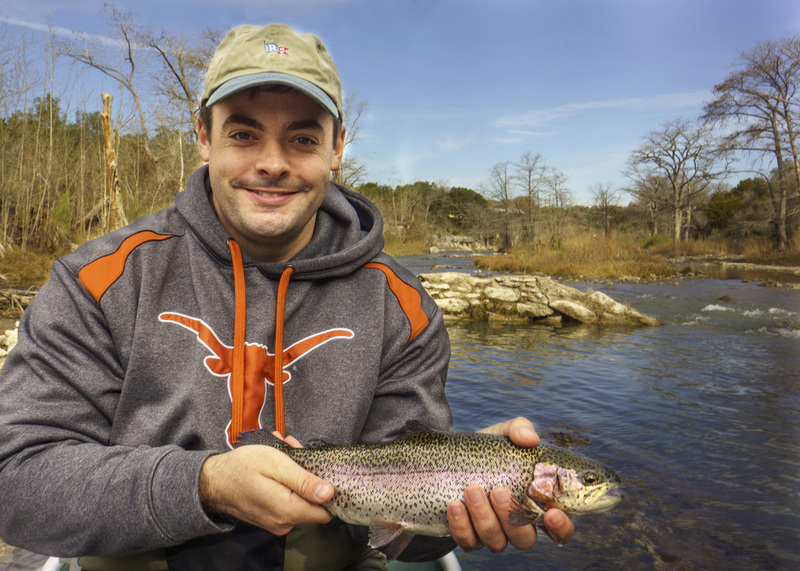 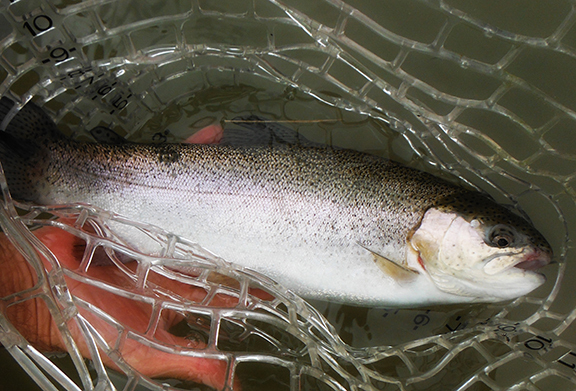 All in all, the Guadalupe River trout season is off to its anticipated splendor.